Power comes courtesy of a 4.7 litre bi-turbo V8, which produces 455 hp, 700 Nm of torque, and can take the Coupé from 0–62 mph in just 4.6 seconds. Handling is agile and precise, with the new 9G-TRONIC 9-speed automatic transmission combining outstanding response with impressive efficiency. Exterior styling showcases Mercedes-Benz design at its dynamic, exuberant best, with the eye-catching diamond radiator grille one of many highlights. The cabin is equally alluring, a lavishly appointed haven of calm and relaxation with an array of luxurious features as standard. These range from heated leather seats and ambient lighting, to the Panoramic roof and Active Parking Assist. The AMG Line design and equipment line includes chrome-coloured pins in the diamond radiator grille, dynamic AMG bodystyling with sporty AMG alloy wheels and perforated brake discs plus interior highlights in the shape of a high-gloss black poplar wood trim. Further trim options such as metallised ash wood are available. S 500 Night Edition Coupé. S-Class Night Edition is instantly recognisable. Exclusive exterior design elements include 20” AMG multi-spoke alloy wheels painted high-gloss black, and a distinctive diamond radiator grille with black pins and black-painted louvre. AMG bodystyling is another eye-catching touch, along with ‘Night Edition’ badging on the front wings. Equipped with one of the most agile V8 engines, taking you from 0–62 mph in 4.2 seconds, the Mercedes-AMG S 63 is full of superlatives. You’ll recognise the Mercedes-AMG S 63 by its very own AMG bodystyling, comprising matt silver front apron framing the striking headlamps with LED Intelligent Light System, as well as matt silver side sill panels and rear apron. The Mercedes-AMG S 65 with its almighty V12 engine will take you from 0 to 62 mph in 4.1 seconds. Beyond its striking coupé lines, the Mercedes-AMG S 65 offers the LED Intelligent Light System featuring 47 Swarovski crystals for a truly visual highlight; and Mercedes-AMG S 65 specific bodystyling all round. For gravitas, there are 20" AMG multi-spoke design alloy wheels and AMG sports exhaust system with polished chrome twin tailpipes. The lithe, athletic proportions, the dynamic surfaces and forms: from every angle, the S 500 AMG Line Coupé looks agile and assured, a vehicle completely at one with the road. Design highlights include AMG bodystyling and the extravagant diamond radiator grille with chrome-coloured pins: this is one coupé that’s not shy of a little attention. 19” AMG alloy wheels are also standard. 9-speed automatic transmission, which delivers short shift and response times for exceptional driving agility. 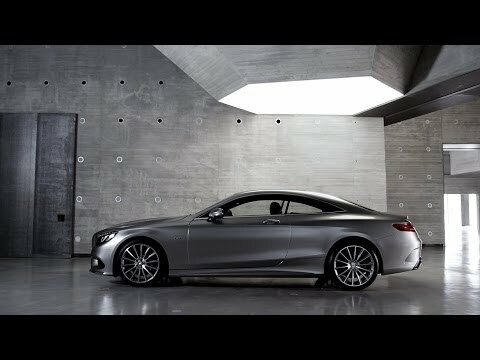 S 500 AMG Line Coupé such a strong sense of luxury and refinement. There are also touches of pure indulgence, such as ambient lighting, which lets you customise the cabin lighting with a range of colours and dim levels to create a restful travel environment. Or automatic servo motors within the doors, which ensure completely smooth and virtually silent closing. the S 500 AMG Line, the Premium equipment line does just that.